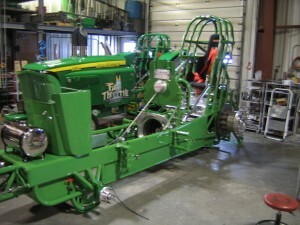 In the past Staab Machine Inc. has built several chassis. (That have allowed our company and people like yourself to build tractors out of individual components.) we have decided to strongly focus on building and suppling component chassis. Probably the biggest reason is the horsepower being produced is taking its toll on cast iron parts, which have to be heavy to be strong. 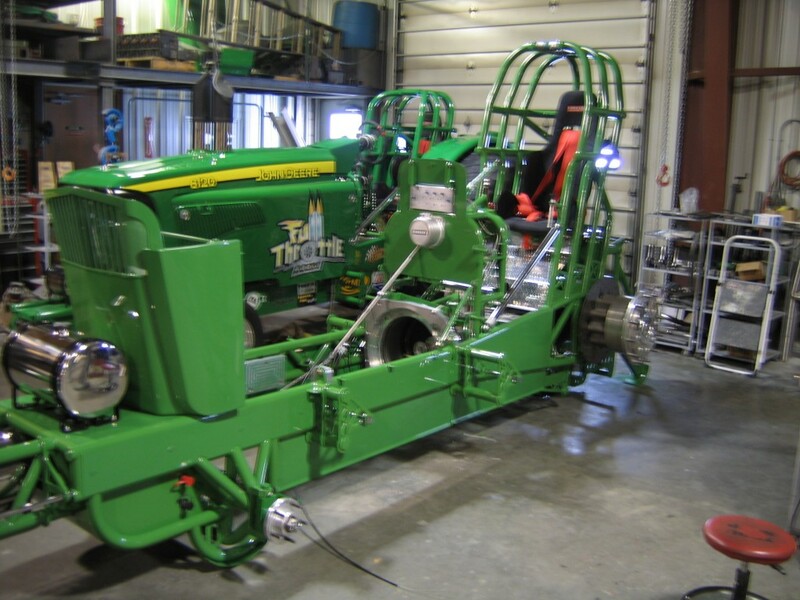 Modified tractors and trucks have used road truck, custom transmissions and other components for some time with good results, and now tractors can be taken to the next level. The use of quality materials, combined with new technology has produced stronger lighter components for racing vehicles. 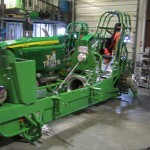 At Staab Machine Inc. all of our chassis are constructed out of chromolly tubing. The laterals are all coped on CNC Mills for precision accuracy & fit. Instead of retrofiting automotive front end parts to work with our chassis, we made our own spindle arm assembly and hubs. Thus we could make it strong enough for the Prostock class, but light enough for the Super Stock Light class. All of our gussets, and brackets are all laser cut to ensure proper fit. They also give the chassis a refined look.